Super Savings! 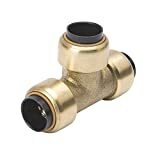 Up to 31% off on Push-On Hose Fittings at Scranton Sewer. Top brands include AIGNEP USA, Dixon Valve & Coupling, Anderson Metals, LeLuv, Badger Insulated Pipe, & Blue Hawk. Hurry! Limited time offers. Offers valid only while supplies last. Push Fitting~1/2" FPT (Female Pipe Thread) Bag of 4 Lead Free! Push Fitting~3/4" Coupling Bag of 4 Lead Free! Push Fitting~3/4" Coupling Bag of 10 Lead Free! Push Fitting~3/4" T's Bag of 4 Lead Free! Push Fitting~1" T's Bag of 10 Lead Free! Push Fitting~1/2" T's Bag of 10 Lead Free! Push Fitting~1" FPT (Female Pipe Thread) Bag of 10 Lead Free! 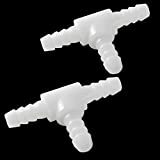 Push Fitting~1/2" Coupling Bag of 10 Lead Free! Push Fitting~ 1" FPT (Female Pipe Thread) Bag of 4 Lead Free! Push Fitting~1/2" T's Bag of 4 Lead Free! 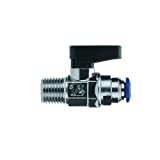 View more products in Hose Fittings.